#FlashbackFriday to When California Police Chief Claims a Gun "Is Not a Defensive Weapon"
Not to get all clickbait-y, but the answer might surprise you. 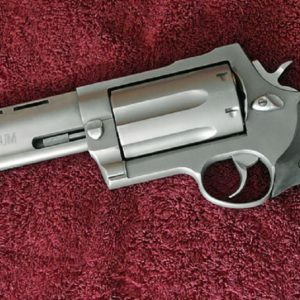 Ammoland was kind enough to make a little compilation of 35 instances since 1987 in which handguns were used against bears in defense, and funnily enough the calibers ranged from 9mm to .454 Casull. Only one of the cases they pulled and confirmed to have actually taken place resulted in a failure — pretty impressive. I thought we could take a look at the list in broad strokes, and see what lessons could be pulled. If you want to look at the full archive of the events, just click here. Firstly, and most surprisingly to yours truly, there were four cases in which the 9mm cartridge was used to defend against bears — every single one of them was successful, and at least three of the four were against grizzly bears. All three of those bears died, and one of them was killed from less than five feet away. That particular kill was credited partly to the use of FMJ ammo, but still. That’s far more than I would have credited a 9mm cartridge’s capability. There were three instances in which .357 Magnum was used for bear defense, and here is where we find our failure. I’m almost tempted to call it a failure-and-a-half, because another victim was wounded. 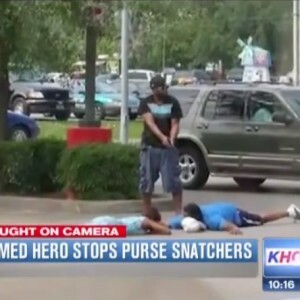 In one instance, the victim fired three shots, only grazing the animal. In another, the man, a game warden, didn’t fire until a grizzly bear was biting his arm, at which point he unloaded the revolver into the grizzly, killing it. I’m not sure whether either of these partial failures can be fairly blamed on the cartridge, however — these seem like user error. A .40 caliber handgun was used three times — each one of which was successful. It is worth noting, however, that each of these instances involved black bears, rather than grizzlies. Either way, that’s a pretty solid record. On one occasion a 10mm handgun was used, and the poor man defending himself from a charging grizzly fell backward while trying to back off. While both kicking at the animal and firing, he shot part of his toe off and killed the grizzly in the same shot. .41 Magnum, a caliber I’ll be the first to say I have absolutely no experience with, was involved in the defense of two different victims — both survived, although one man was badly mauled before he even had the chance to draw his sidearm. The mot popular cartridge used against bears — in terms of this compilation — was the .44 Magnum, which is often cited by internet and forum warriors as the absolute smallest you should go in bear defense. It was used 12 times. The cartridge was used to thwart attacks from black bear, brown bear, grizzly, and even a Kodiak Bear. It even killed the Kodiak bear. That’s more than enough for me. The .45 ACP cartridge was used four times, each one of which was successful. However, it’s worth noting that with one 400 lb. grizzly it took nine rounds to put the bear down, and by all accounts it seems like the shots were pretty well-placed. It’s also worth noting that the man who had to fire nine times to get out alive immediately went and bought a 10mm afterward. 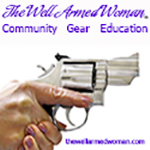 .45 Super and .454 Casull were each used once — the bears died in each. There were three cases in which the caliber of the handgun was not revealed, and one instance in which both a .44 Magnum and a .357 Magnum were used together to stop a bear. With one failure, that’s a 97% success rate. There are two, it seems. Firstly, higher penetration seems to be key — that would be why 9mm came out ahead. Secondly, the caliber of the firearm used seems to matter less than the ability of the shooter under pressure. A .357 Magnum is formidable as hell, but that doesn’t mean anything when you can’t hit a charging bear. 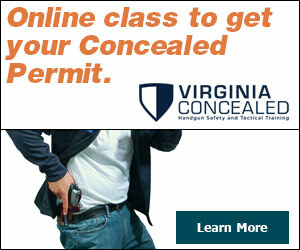 For my money, I wouldn’t trust a 9mm, even though it seems to pass the test here. 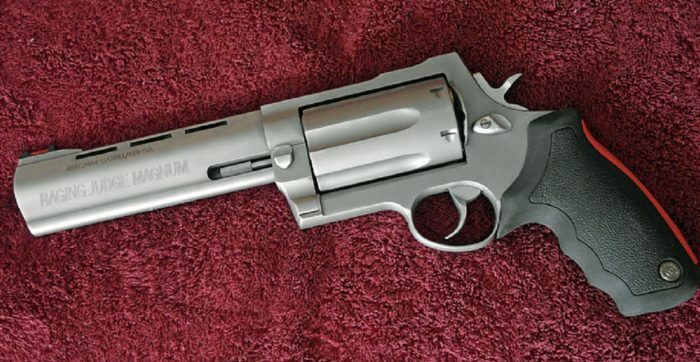 I’d go a little heavier — my .357 Magnum is the likely choice for me — and practice, practice, practice. It doesn’t hurt if you have bear spray, to boot. 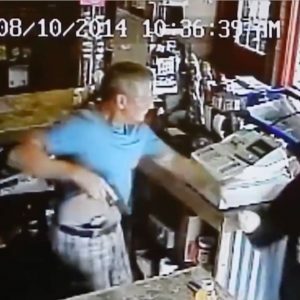 VIDEO: Concealed Carry holder stops robbery. What would you have done? 1. 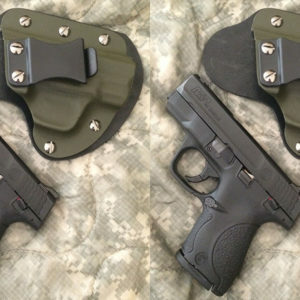 Smith & Wesson M&P Shield .40 2. 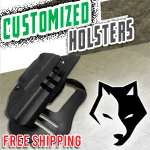 Raw Dog Tactical The Defender Pro Series IWB holster. 3. 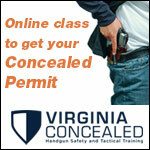 Easily-concealed lightweight handgun, and a comfortable holster. And both are rather affordable. 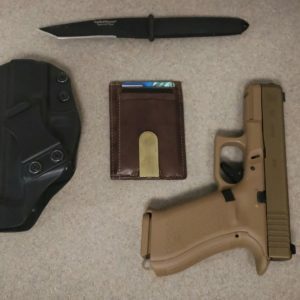 SUBMIT YOUR #DIGTHERIG | SEE MORE SUBMISSIONS HERE Glock 19x in a Clinger holster. I carry this gun because it is my only handgun and only holster I have at the moment. Though it's not a bad holster.